Summary: It’s 1962. John F. Kennedy is the U.S. President and the Cold War has the nation gripped with fear – but a far more viscous and insidious enemy than communism is threatening America. Known only to a scant few, a covet government unit called The Bureau begins investigating and concealing a series of mysterious attacks by an alien enemy. As special agent William Carter, you make the decisions, pull the trigger and lead your squad in a third-person tactical shooter set within a high-stakes, covert war to defend the human race. The Bureau’s mission is clear – survive, adapt and overcome the enemy threat to protect the citizens from the truth. 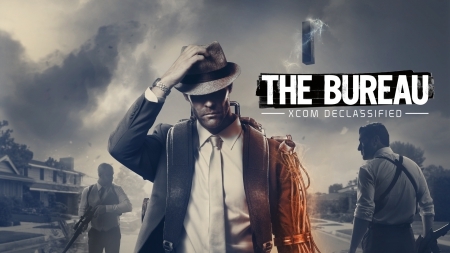 Review: The Bureau: Xcom Declassified is definitely a game interesting enough to last me a chapter or two. After that I lost interest. Scenery was interesting to a point, in that billboards around the towns reminded me of some of the scenery you will see in Fallout: New Vegas ( A game I highly recommend), and some of the aliens you will encounter do resemble Crypto (Destroy All Humans), but as far as anything else, that is where the game becomes dismal and bland. The pace of combat is very uneven. Missions routinely throw you into back-to-back firefights with dozens of enemies that leave you short of ammo and barely hanging on to survive, and when you get killed by any one of the dozens of enemies, you will start back at the last auto-check-point. My point of interest in this game lasted until the Gunship battle and that was enough for me. Gameplay/Storyline: 3 out of 10. Scenery: 7 out of 10.